Microsoft is claiming its $1.2 billion acquisition of enterprise social collaboration platform Yammer eight months ago has started to pay off. 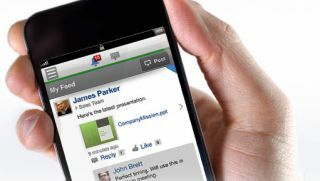 The blogpost says that customers have reacted encouragingly to the ability to use Office 365 and Yammer together. The company has integrated the Office 365 and Yammer teams and concentrated on producing regular updates of the relevant software. Their current efforts are focused on identity, content and messaging. Microsoft says it plans to focusing on marketing the platform this year and investing "aggressively" in the business by hiring in sales, engineering, customer engagement and marketing. In a recent interview with TRPro, Yammer chief Adam Pisoni emphasised the importance of frequent updates, describing Yammer as "not a product with a set of features" but a "set of experiments at any given time". Yammer had about 5 million corporate users when Microsoft bought the company in June 2012. In February, the software giant said the number had grown to 7 million. Microsoft's Business Division, which includes Yammer, saw sales rise 8% year-on-year to $6.32 billion in its most recent quarter. Market watcher IDC has predicted that the social collaboration market will grow 43% annually to reach $4.5 billion by 2016.